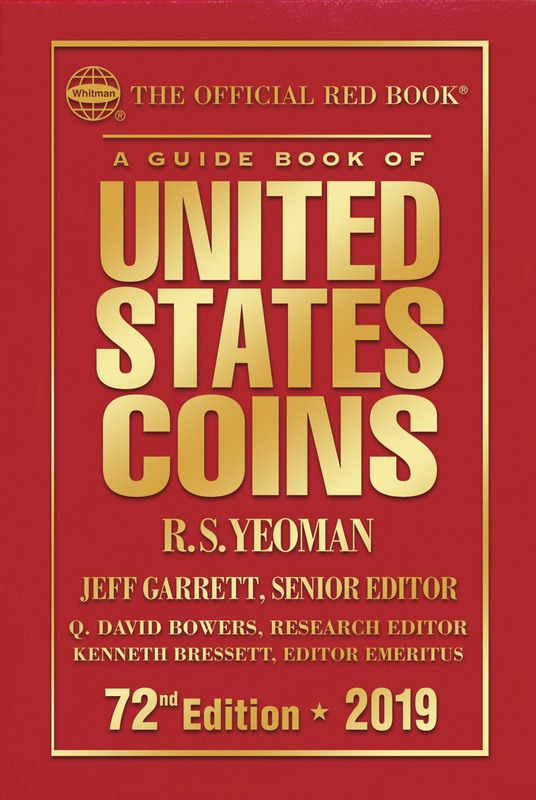 (Pelham, AL) — Kenneth Bressett, longtime editor of the Guide Book of United States Coins (popularly known as the “Red Book”), has retired into Whitman Publishing’s newly created position of Editor Emeritus. The 2019 (72nd) edition of the Red Book, available now from booksellers and hobby shops nationwide, features a 10-page illustrated tribute to Bressett. In addition, the hardcover format includes a commemorative gold-foil portrait and a facsimile of his famous signature on the back cover. Bressett will make appearances at several shows and events throughout the year to autograph books. The Guide Book of United States Coins debuted in November 1946 (with a cover date of 1947) as the hobby’s only fully illustrated catalog with objective retail pricing for every U.S. coin. Prior to this, the Handbook of United States Coins (the “Blue Book,” first published in 1942) gave unbiased wholesale pricing—how much dealers were paying, on average, for U.S. coins. These two resources were both created by R.S. Yeoman and published by Whitman. Before them, collectors had to rely on lists written by individual coin dealers, which were seen as biased and did not have wide distribution. The first edition of the Red Book was so popular that it sold out 9,000 copies in a matter of weeks, requiring another print run in February 1947. Kenneth Bressett, a young collector from Keene, New Hampshire, first met R.S. Yeoman at a coin convention in the mid-1950s. He mentioned several errors he’d found in the latest edition of the book. In 1956 Yeoman invited Bressett to be a freelance editor, and in 1959 Bressett moved with his family to Racine, Wisconsin, to officially join the Whitman Publishing staff full time. He worked closely with Yeoman—by that time one of the most famous numismatists in the world—developing the Red Book and Blue Book and many other hobby references and products. By the time Yeoman retired in 1970, Bressett had taken over many duties as “coordinating editor” of the Red Book. In the 27th edition he was credited as the book’s editor, and in the 66th edition he was elevated to Senior Editor, with Q. David Bowers and Jeff Garrett assisting as Research Editor and Valuations Editor, respectively. Tucker encourages collectors to buy two copies of the hardcover this year—one for day-to-day use, and one to have Bressett autograph as a numismatic keepsake. “Mr. Red Book” will be at the American Numismatic Association Summer Seminar in Colorado Springs, June 16–28, and the ANA World’s Fair of Money in Philadelphia, August 14–18. He is scheduled to appear for a week of celebrations at the Whitman Coin and Collectibles 2018 Winter Expo, October 25–28.